Many men can get the nutrients they need through their daily diet, but some men can benefit from nutritional supplements, vitamins and minerals. In addition, men have nutritional requirements that are different from those required for women, children, and seniors. 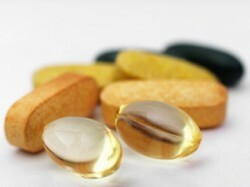 When choosing vitamins for men, it is best to look for supplements that are specifically designed for men. While it’s true that both men and women need vitamins and minerals, the recommended daily allowance may differ. This is another reason why men should take vitamin supplements that are formulated for them. The right vitamins in the right quantities can help protect men against heart disease, prostate cancer, hormonal imbalance and bone loss. Vitamin D is essential for the proper absorption of calcium during digestion. It also helps protect the body against toxic by-products of high-fat diets. Rich sources of Vitamin D include fortified milk, beans, nuts and lean meats. The antioxidant vitamin C helps eliminate free radicals that can damage healthy cells in the body, causing inflammation and chronic illnesses. Vitamin C is necessary for the production of collagen, the protein found in skin, tendons, blood vessels and ligaments. It is also important for healing wounds and keeping the skin and gums healthy. Vitamin C also helps increase sperm count. Men require more Vitamin C than women do. Vitamin E is another powerful antioxidant. It provides protection against heart disease by preventing the production of plaques that can clog the arteries. Along with Vitamin C, Vitamin E is one of the most important vitamins for men, especially those who workout a lot. It helps reduce muscle damage after strenuous exercise, and also protects against cancer and heart disease. Vitamin B3 or niacin helps regulate cholesterol levels in the blood. Vitamin B5 (pantothenic acid) supports the adrenal glands and are necessary for the production of hormones. Men also need Vitamin B9 or folic acid. It improves blood circulation to the brain and body, helps prevent dementia and memory loss, and reduces the risk of stroke and heart attack. B vitamins are abundantly present in many foods such as meat, shellfish, liver, eggs and dairy products. However, vegetarians may need Vitamin B supplements. Multivitamin supplements for men often contain B vitamins, so men who take multivitamins regularly probably get enough B vitamins. In conclusion, men who eat a healthy and balanced diet often get all the vitamins and minerals they need. Natural foods are the best sources of vitamins for men. However, athletes and men who are physically active may find it in their best interests to take vitamin supplements in order to boost their energy levels and improve overall health.